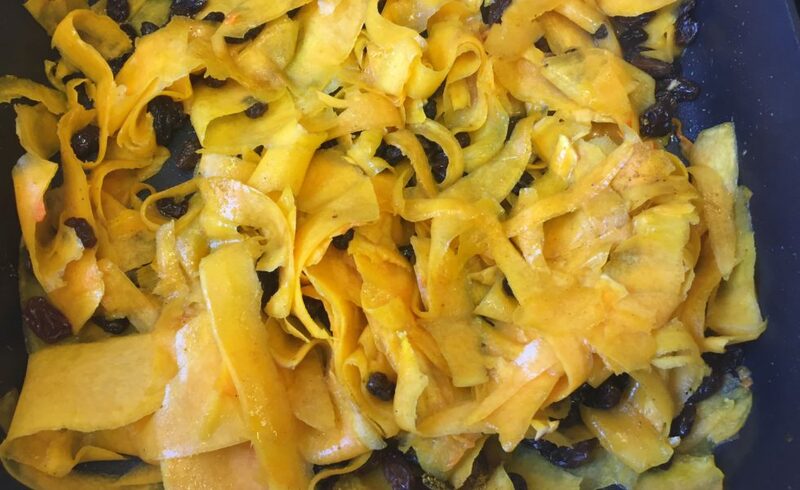 This month, classes are making our last recipe in our 2016-2017 cooking season – Butternut Squash Noodles tossed in a sweet curry sauce! 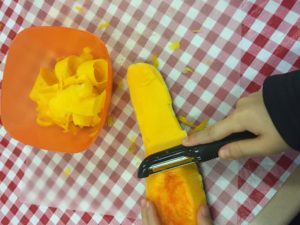 Students have been learning to use peelers to make noodles out of the squash as well as exploring where food comes from around the world. This is our last recipe for winter before we get back out into the garden in the spring. Try our recipe at home! Peel or slice off the skin of the butternut squash. Peel the squash length-wise into thin strips. Turn skillet to medium-high heat and add olive oil and squoodles. Sautée squoodles with curry powder, ginger powder, salt, and raisins. Cook squoodles until tender (10 – 12 minutes). Toss with honey, and enjoy!